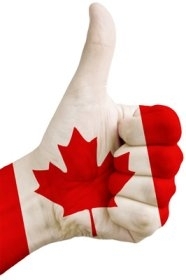 Canada is a country whose foundation was built on immigration, people of all races and creeds choosing to come to a single country; coexisting and living out their lives. Canada is considered one of the best places in the world to live, and that is in part to the diversity and culture of its people. Professional opportunities, socialized medicine, and a superior educational system are just some of the many attractive qualities that may entice people across the globe to make the trek, in hopes of creating a life in this beautiful country. 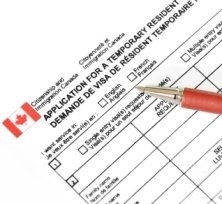 Moving to a new country can be a long and arduous ordeal; application processes, background checks, and medical tests can put a damper on eager individuals, but this isn’t without justification when deciding on Canada as being your new home. Medical examinations are an integral part of the process, as with all large nations with millions of people it is a governmental duty to ensure the health and safety of its citizens, and this includes any possible commutable diseases and health concerns. For if a harmful contagion were to be exposed to any part of a densely populated area, much like Toronto or Vancouver, it would only take weeks if not days for it to spread to the majority of the population. Anyone living in Canada in 2003 will surely remember the SARS (severe acute respiratory syndrome) epidemic that claimed the lives of 44 people, left approximately 400 ill, and left nearly 25,000 to be held in quarantine; truly a nightmare for health authorities at the time, and one that left a lasting impression for potential health risks entering the country. In order to prevent any such incidents in the future, measures are in place to help screen for any potential infectious diseases for all immigrants seeking permanent residency in Canada. Medical examinations and tests are required to detect any conditions that may affect the health of Canadian citizens at large, but also to assess the demand placed upon health care or social services; as free healthcare is a luxury and needs to be properly managed. The following are some of the medical tests currently implemented which are valid for one year from the date of the examination. Along with the standard history of the patient; documenting any previous history of hypertension, diabetes, autoimmune disorder etc., assessing both body and mind is often the first step in evaluating overall health and mental stability. Cardiovascular and/or respiratory disease can often be identified through basic examination. This includes testing for HIV, Syphilis, complete blood count (CBC), basic metabolic profile (BMP), etc. 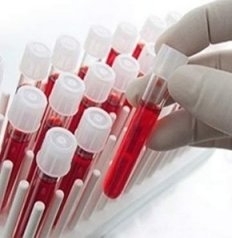 blood tests are useful for diagnosing the aforementioned infectious diseases and any diseases currently suspected for risk, as well as treatable illnesses such as diabetes and anemia, and the monitoring various organ function that may require follow-up. Vaccination serology may also be assessed. This includes testing for protein, glucose, blood etc. helping aid in the diagnosis of various illnesses such as diabetes and kidney failure. Urine tests may also aid in the diagnosis of UTIs, STDs, liver problems, or other metabolic conditions. Typically a chest x-ray that will aid in the diagnosis of potentially communicable infections such as pneumonia or tuberculosis. X-rays are not required if pregnant to ensure the safety of the fetus but will be required after delivery, as well as an examination of the infant. These tests are performed by specially designated physicians that will ensure the acceptance of the results by the proper authorities. Your own family doctor is not permitted. Individuals seeking permanent residency can either get an upfront medical exam from a designated medical practitioner (DMS) in their country of origin and submit those results with their application, or simply wait for instruction on how to get a medical exam once submitted an application. Getting a medical exam requires a fee, and will not be refunded if the case of an application refusal. If an applicant is found to have a medical condition that is a danger to public health and safety or cause excessive demand on the Canadian health care system, their immigration application will become inadmissible for entry into Canada. It is important to note that individuals with dependants such as young children will also have to undergo a medical examination as well, regardless if they are accompanying you or not for immigration into Canada. However, there are exceptions to this in certain situations such as if the dependent is unwilling or unable to undergo a medical examination. If a dependent were to be found inadmissible there may be exceptions made through family sponsorship. Although the process for immigration may be a tedious one, its purpose is to protect the country as a whole. It provides all the people who reside therein, as well as future residents to be confident that their health and the health of the people around them is of concern to the governing authorities; ensuring prosperity for them and future generations. Is it Really Possible to Become a Doctor in Ontario if you are an Immigrant?